One of the great things about smartphones is the fact that they’re essentially a mini computer that can fit in your pocket. 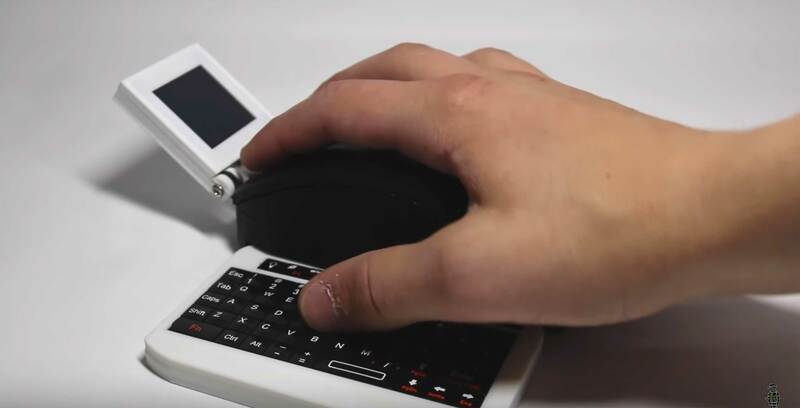 Now, someone has found a way to make an actual mini laptop that can fit in a computer mouse. In a recent video, YouTuber Electronic Grenade explained that he wanted to make such a “Computer Mouse” after seeing someone do something similar with a keyboard. To make the Computer Mouse, Electronic Grenade 3D-printed a larger-sized mouse, since his regular-sized one was too small. He then inserted a Raspberry Pi Zero W computer, 500 mAh battery and tiny retractable Bluetooth keyboard into the mouse. In his video, Electronic Grenade also showed the Computer Mouse playing the Pi-emulated version of Minecraft. While he said it was initially hard to control using the tiny device, he soon found himself being able to create levels with relative ease. However, he noted that the Computer Mouse couldn’t handle Minecraft for very long without crashing. While this certainly isn’t a practical laptop, it doesn’t really have to be. Unlike many other “Sticky or Not” gadgets we’ve looked at before, this isn’t at all intended to be a commercial product. Therefore, it’s easy to forgive any shortcomings and take this as it is — a really neat DIY project. As someone who knows next to nothing about computer programs, coding and the like, I will always admire the ingenuity of the people who can make this sort of thing.